As this area's only AAA-Approved Driving School, Suncoast Safety Counciltakes pride in providing safe, professional driving lessons and teen driver's education to people of all ages and skill levels. Our experienced, state-licensed driving instructors willwork patiently to help you develop a solid foundation of driving skills that will contribute to a lifetime of confident, safe and responsible driving. 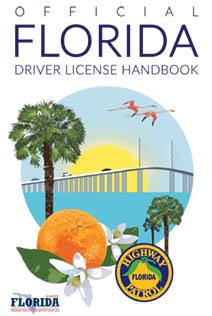 We currently provide driving lessons throughout Pinellas County, FL including the Clearwater, Largo, Pinellas Park, St. Petersburg, Bellair, Dunedin, Palm Harbor, Oldsmar, Safety Harbor & Tarpon Springs areas. Important: Students must have a valid restricted-learner's license/permit to participate in driving lessons. If you require a permit, you may take our Drug Alcohol Traffic Education (DATE) class for first-time drivers. Individual Driving Lessons - 7 Days a Week! Whether you're a first time driver or just want to improve specific driving skills, we're here to help you get you ready for the road. All individual driving lessons are customized to the level of experience and specific learning styles of each student. For added security, training takes place in safe, dual-brake vehicles to help build skills while ensuring driver safety. Each driving lesson is 1.5 hours in length. We offer bilingual instruction for Spanish speaking students. 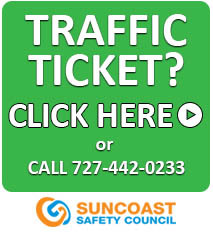 All driver training is conducted from Suncoast Safety Council offices in Clearwater and St. Petersburg - extra charge for pick-up and drop off at home. DMV Driving Test: Students will be picked up by a state-licensed driving instructor and taken to the DMV for their road test. After using our vehicle to take the test the student will be dropped off at home. Students must take at least one driving lesson with us prior to taking the test in our vehicle. Please call for more information. Please Note: Prices do not include pick-up and drop-off accomodations. For each lesson, an additional $15 is added to the package rate if this service is required. Suncoast Safety Council also offers a Teen Drivers Education program, similar to the course provided in our public schools. 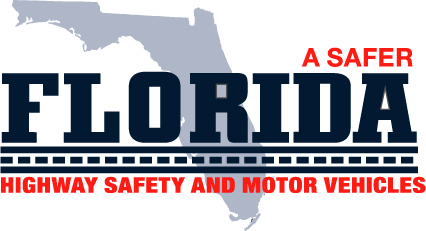 Our course is approved by the Florida Department of Highway & Safety Motor Vehicles and may be eligible for an INSURANCE DISCOUNT (call your insurance company for eligibility and rate of discount). Our program consists of 30 hours in the classroom and at least 6 hours of driving in one of our dual-brake equipped training cars with an experienced, state-licensed driving instructor. We offer Driver's Ed in both a traditional classroom setting or online.